We love Berlin’s unique neighbourhoods – there are so many interesting streets to explore across the city. One of our favourites is Rykestraße, a wide, tree-lined street in Berlin’s Prenzlauer district. Not only is this street FULL of things to keep you busy should you find yourself hungry or wanting to do a bit of shopping, it also has two very notable sights: the Wasserturm Prenzlauer Berg, and the Rykestraße Synagogue. Rykestraße runs from the Wasserturm on the corner of Knaackstraße to Danziger Straße. 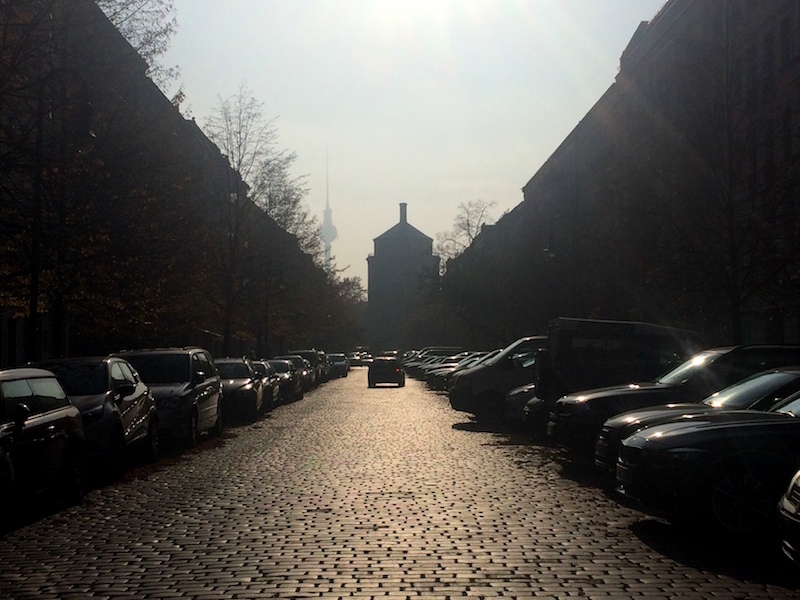 It’s not a particularly long street for Berlin, but there’s more than enough to see and do. 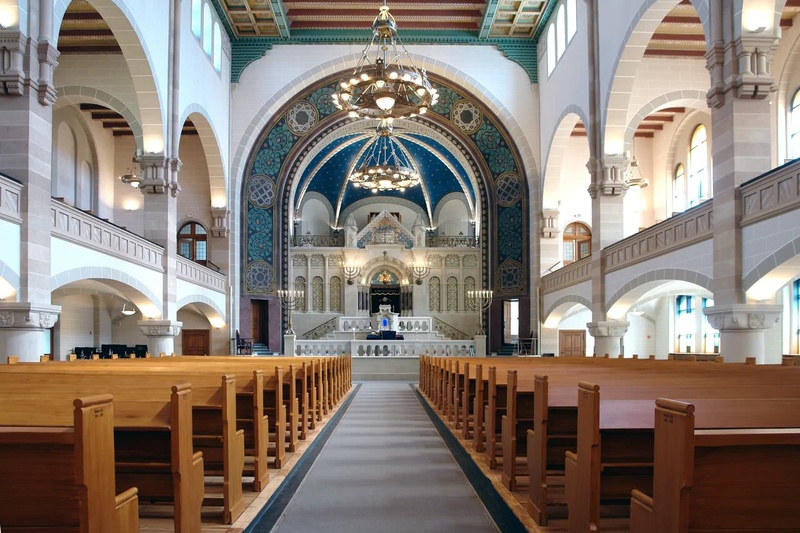 The synagogue is Germany’s largest and the second biggest Jewish place of worship in Europe. The building has been around since 1904, surviving the Second World War relatively undamaged. Today it can hold up to 2000 worshippers inside. It’s worth taking a look at its beautiful interior and tours are available during the week in both English and German. Photo from Jüdische Gemeinde zu Berlin’s Website. The Wasserturm is Berlin’s oldest water tower, and was in use until 1952. An adjacent machine hall was actually the first concentration camp in Nazi Germany, though this building was demolished in 1935. Nowadays it is full of very sought-after apartments and is surrounded by a very pretty park area. There are quite a few places to eat on this street. Some are quite small (and popular) which means seating can sometimes be tricky, of course it’s easier in the summer when there are more options to sit outside, but in the colder months you might have to wait for a table. 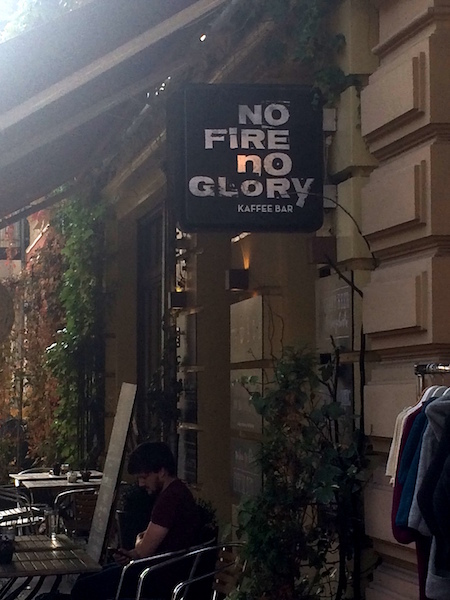 Some of our favourite spots are No Fire No Glory, which serves really great coffee & cake, ABC (Allans Breakfast Club) who do a very tasty avocado toast and general yummy brunches, there’s also Si An specialising in very tasty Vietnamese cuisine, and set in a beautifully-designed space. There are also a couple of ice cream shops on the street, one in particular we like is Tribeca Ice Cream, serving delicious vegan ice cream in some amazing flavours. The shops are mostly small, independent stores selling unique items and cool designs. We really like ting, a shop selling everything from jewellery to stationery – you can pick up some one-of-a-kind pieces here. Go to Funi Shop for bright, colourfully-designed products such as wrapping paper and cards. 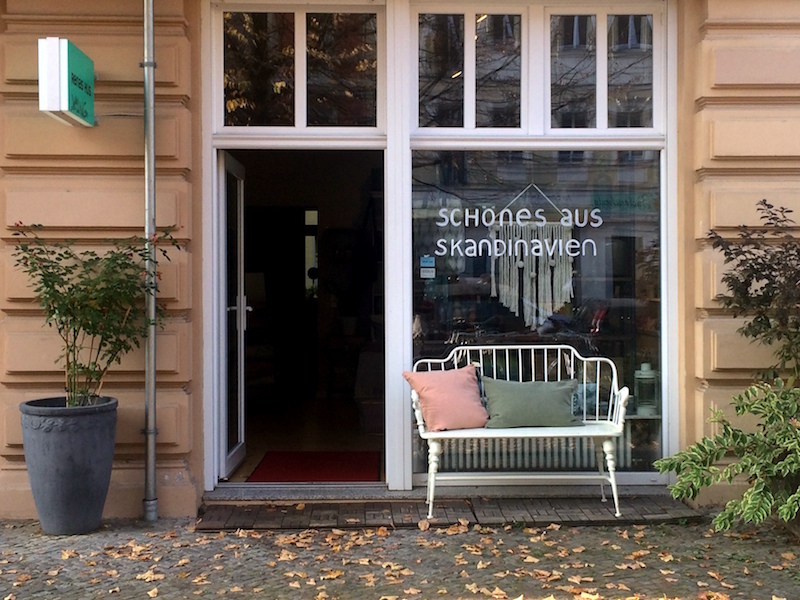 And when you want to spruce up your apartment (or your wardrobe) head to Schones aus Skandinavien whose pretty patterns cover scarves, mugs and handbags. After all that shopping, you’ll need to stop for a drink or two! 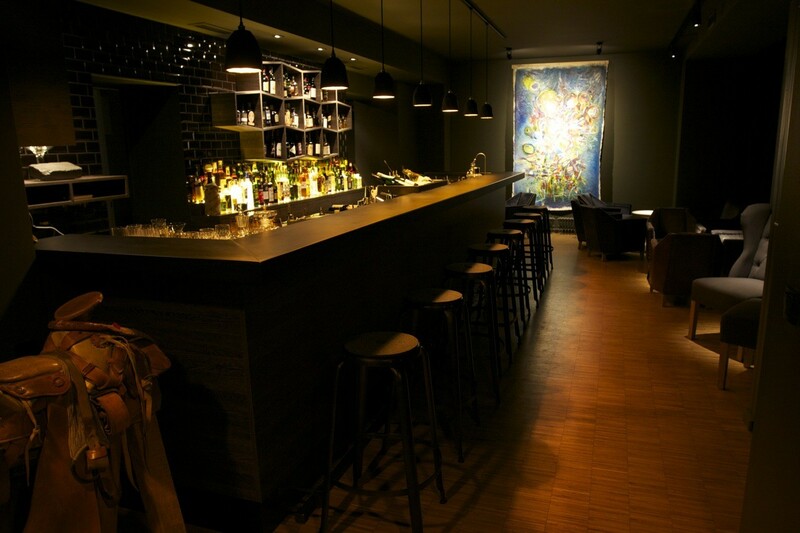 And of course, Rykestraße has no shortage of bars, either. For delicious cocktails (and a smoke-free bar) head to BRYK – they even produce their own brand of gin. The bar has a very trendy industrial style and friendly staff. Haus Bar is a nice, small, cosy bar to relax in that plays good music and makes good drinks. There’s also a small terrace for when the weather is nice. Yard is your typical small pub/kneipe experience, that also has a pool table inside (which we don’t see many of these days). It’s dark, cosy, cheap and plays good rock music. 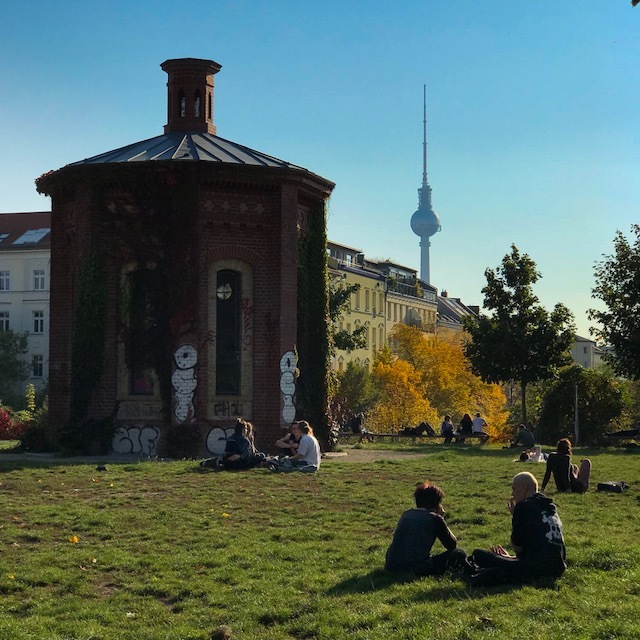 You’ll also find a spa, a wine shop, even a vet on Rykestraße – there’s just too many places to mention, so it’s best you go take a look yourself! Find more ideas on what to do in Prenzlauer Berg HERE. You may also enjoy these other street guides we wrote: Torstrasse, Brunnenstrasse, Gräfestrasse. Do you have any favourite streets in Berlin? Let us know.